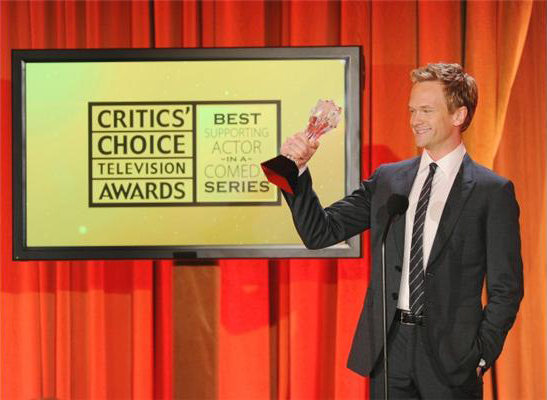 Last night, the Broadcast Television Journalists Association held their inaugural Critics' Choice Television Awards in Los Angeles. And while I'm normally averse to more Hollywood awards shows, the BTJA honored some phenomenal performances that will hopefully add some momentum going into Emmy nominations. I'm surprised American Idol took home the Reality Series/Competition award over shows like Project Runway and Top Chef whose most recent seasons were undeniably better, but ultimately I was really pulling for a RuPaul's Drag Race upset in that category. I was also sad to see SYTYCD's Cat Deeley (who hosted the show last night) walk away without the award for Best Reality Host. In a perfect world, both RuPaul and Cat would be nominated for Emmys! Biggest kudos of course go to Busy Philipps (Laurie on Cougar Town), who I really hope sneaks into the Supporting Actress in a Comedy category for the Emmys—though, to be fair, that is without doubt one of the most competitive categories this year. The show was streamed live on VH1 last night, but ReelzChannel will be airing it tomorrow night (Wednesday, June 22) at 8pm.